The digitization of modern dentistry helps us optimize and personalize your dental care like never before. Examinations are more detailed and provide a more accurate picture of your oral health, which in turn helps us create more effective treatment plans. Dental procedures are also less time-consuming, and restorations are more durable and lifelike thanks to the latest in dental design and manufacturing technology. Record-keeping is a vital part of your dental care. If you need to visit a specialist, or if you move to another city or state and need to find another primary care provider, then your digital dental records will help ensure a smooth transition and minimal lapse in your dental health care. Digital records also help us create treatment plans more effectively by making it easier to view your medical and dental history. X-rays have long been a vital part of dental examinations and diagnoses. 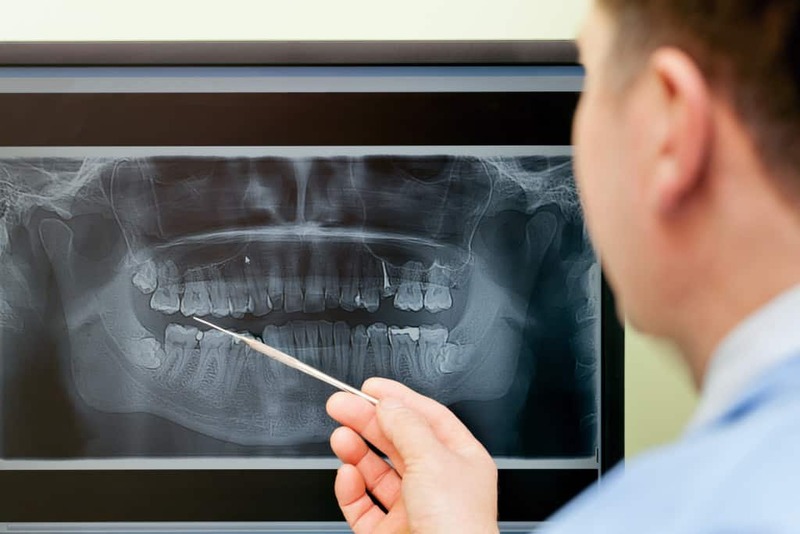 With digital X-rays, your dentist can acquire high-quality images of your teeth, their roots, and your jawbone structure with minimal radiation exposure. The digital images are produced instantly and projected onto a chairside monitor, where your dentist can review the images and discuss them with you in detail. In addition to digital X-rays, your examinations will also include a careful visual inspection of your teeth, gums, and oral tissues. Our digital intraoral camera allows us to gain an accurate view of areas that are not easily visible otherwise. The tiny camera is situated on a long, thin wand that your dentist can use to manipulate the camera as needed. The camera’s feed will provide digital images to a chairside monitor where your dentist can showcase and discuss the specifics of your dental health. CT scans, or computerized tomography scans, use digital technology to take multiple images from several different angles to create a comprehensive view of your oral structures. Unlike digital X-rays, which only show teeth, teeth roots, and bone structure, CT scans allow us to see significantly more, such as soft oral tissues, intricate jaw joints, and more. Detailed imaging is important in obtaining an accurate diagnosis, but dental technology is about more than just examinations. CEREC (chairside economic restoration of esthetic ceramics) is a computer-assisted design and manufacturing system (CAD/CAM) that takes digital measurements of your teeth and creates your porcelain restoration all in one day. For instance, CEREC same-day crowns allow us to diagnose a compromised tooth, prepare and measure the tooth, and then craft and place a customized dental crown, all in a single visit.